We are proud to announce the third solo show of works by Bettina Blohm at Werner Klein Gallery, Cologne. The exhibition will focus on recent paintings and works on paper. "I´m not necessarily thinking about pattern. It´s sort of an additive process; I put down a shape or a gesture, and I repeat it. It ends up being some kind of patterning. 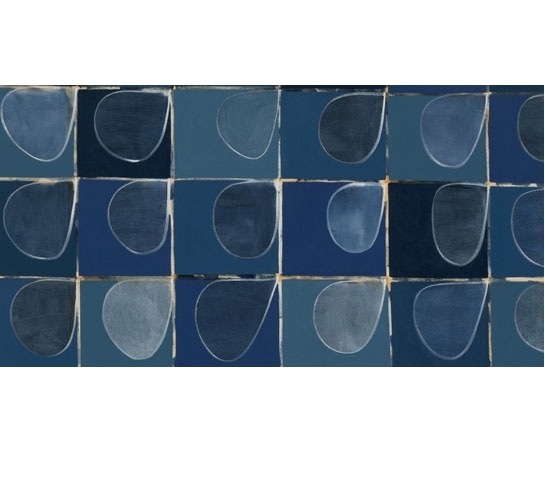 There is a connection between pattern and abstraction and it´s also closely related to nature, the shapes and forms you see in nature. It´s also about a sense of order." "The wonderful thing about drawing, it´s so close to thinking. In my case, the scale is often small and it comes out of the hand, so the thought processes go directly into the drawing." Bettina Blohm was born in Hamburg, Germany in 1961. In 1984, after finishing her studies at Art Academy, Munich, she moved to New York City. In 2008, she established a second studio in Berlin where she now spends four month a year. Works of Bettina Blohm are part of important museum collections including Berlinische Galerie, Busch Reisinger Museum, Harvard, Städel Museum, Frankfurt, Kunsthalle Bremen and Museum Pfalzgalerie Kaiserslautern. Paintings by Bettina Blohm are part of the groupshow The State of New York Painting at Kingsborough Art Museum, Brooklyn NY. Bettina Blohm, Memory Palace, 2016, 122 pages, 49 images.